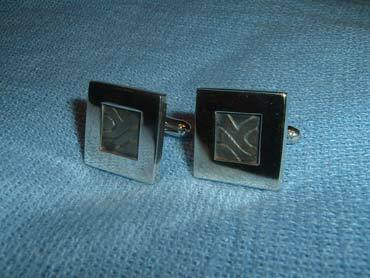 These cufflinks are formed from layered 8mm silver. The base layer was etched and matt finished before applying the top layer and the steel sprung back. As a final touch the etched recess has been oxidized to a metallic blue colour and the outer surface high polished.